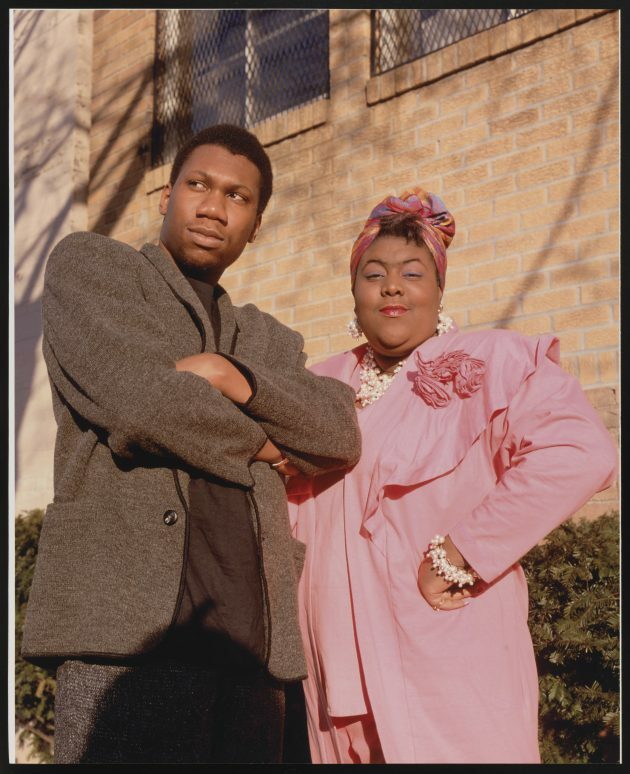 In the late 1970s, hip-hop burst onto the scene in the Bronx in a cultural explosion of rapping, breakdancing and beatboxing, but it didn’t happen in a vacuum. Hip-hop built on traditions developed over decades by African-American musicians, dancers and artists. 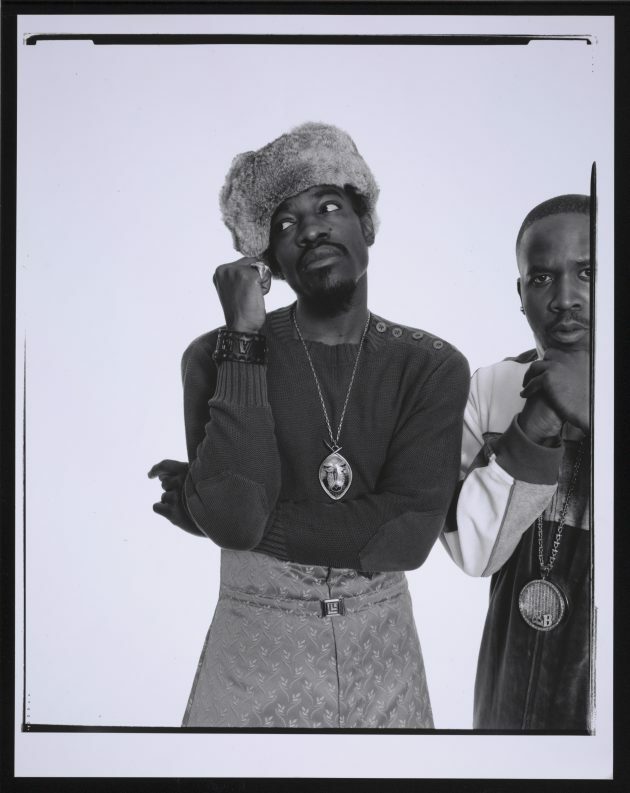 An engaging photo exhibition at the Smithsonian’s National Museum of African American History and Culture explores those ties through the pairing of photos of hip-hop pioneers with their predecessors. 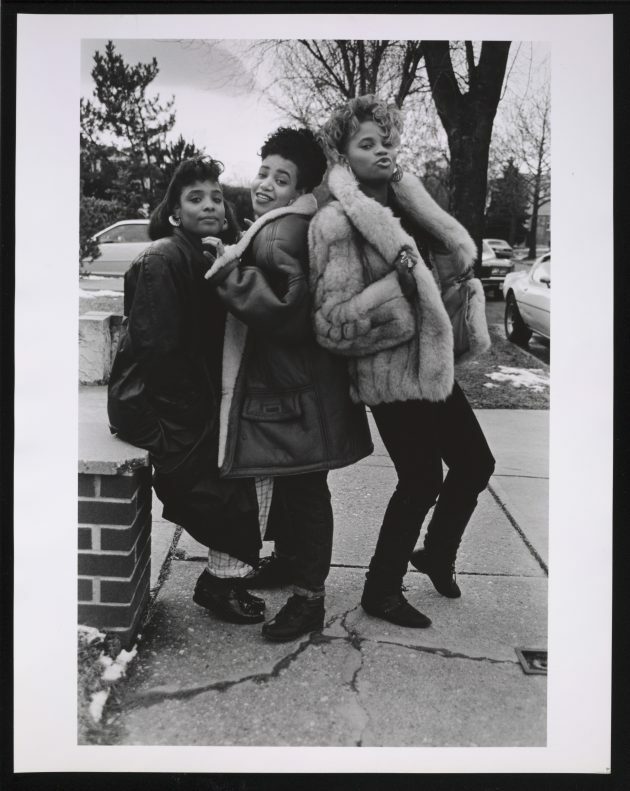 “It shows how hip-hop went from a Bronx-based cultural expression to a global billion-dollar industry,” says Rhea L. Combs, the museum’s curator of photography and film. 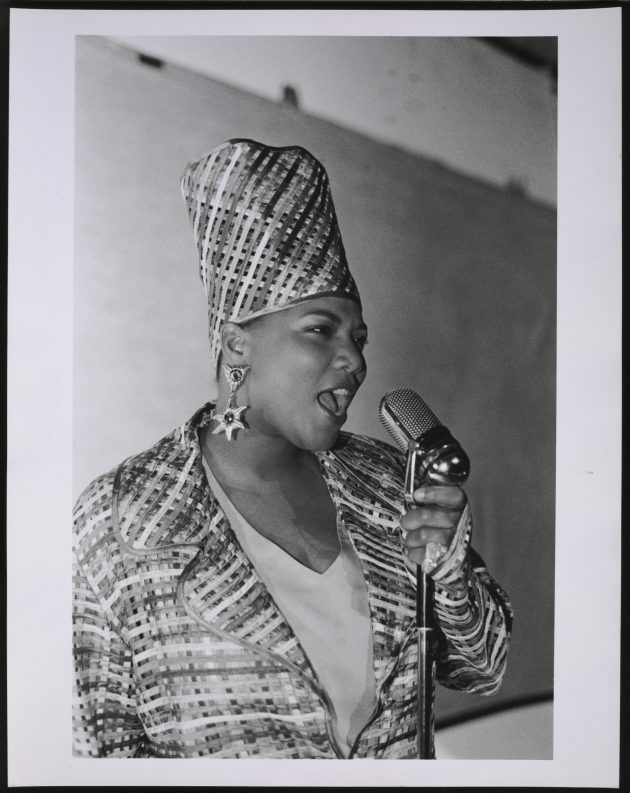 The first pair of photos in the Identity section of the exhibition features rapper Queen Latifah juxtaposed with Gladys Bentley, a lesbian blues singer who dressed in men’s clothes in raucous performances in Harlem speakeasies in the late 1920s and 1930s. In the photos, Bentley is wearing a tuxedo and top hat while Queen Latifah has donned a plaid jacket and tall hat. Separated by decades, both women faced racial discrimination and questions about their sexual orientation. 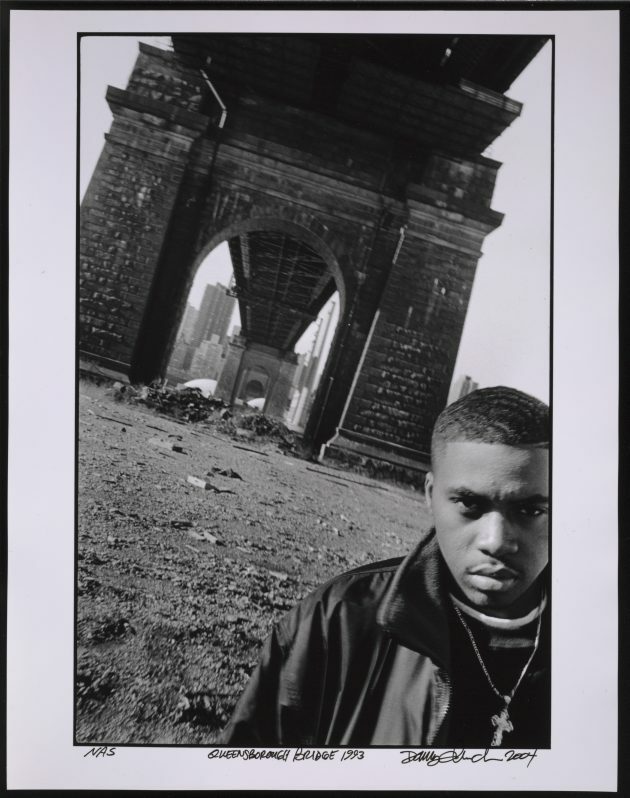 The exhibition covers just a small fraction of the Eyejammie Hip Hop Photography Collection, more than 400 photos by 59 photographers documenting hip-hop culture that was acquired by the museum in 2015. 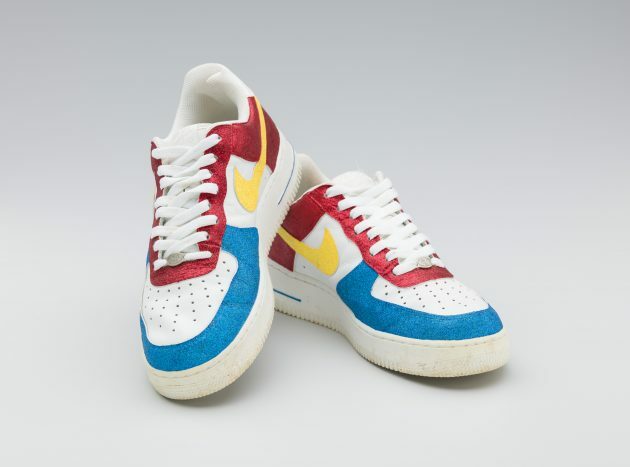 The collection was compiled by music journalist Bill Adler, who served as publicity director for Def Jam Recordings from 1984 to 1990 where he worked with the Beastie Boys, Run-DMC, Kurtis Blow, Public Enemy, and countless other hip-hop artists. 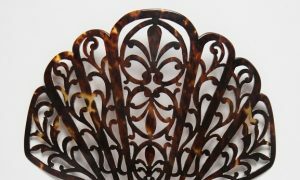 The collection was shown at Adler’s Eyejammie Fine Arts Gallery in New York City between 2003 and 2007 before he closed the gallery in 2008. The most exuberant pairing of photos in the exhibition revels in the way music transports us to a different state of being. Famed jazz musician Lionel Hampton raises his drumsticks in the air and shouts at a smiling crowd, some with their arms outstretched toward the stage, just like in a photo of rapper LL Cool J holding a record above leaping fans at Def Jam’s introductory showcase held at Benjamin Franklin High School in New York in 1984. In a more subdued moment, a photograph of rapper Big Daddy Kane from 1989 shows him getting a trim of his high top haircut by a shirtless friend wielding an electric razor. It is paired with a 1950s photo by photographer Teenie “One Shot” Harris of an African-American barbershop, which often served as communal meeting spaces. On three video tables in the middle of the exhibition, visitors can scroll through hundreds of other photos from the Eyejammie collection, opening a wider window into hip-hop culture. 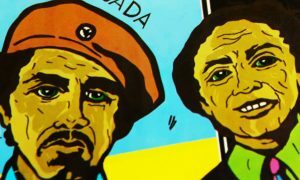 One wall also is filled with memorabilia, including a graffiti-covered New York subway car door, spray paint cans, a Kangol cap, and vintage flyers. 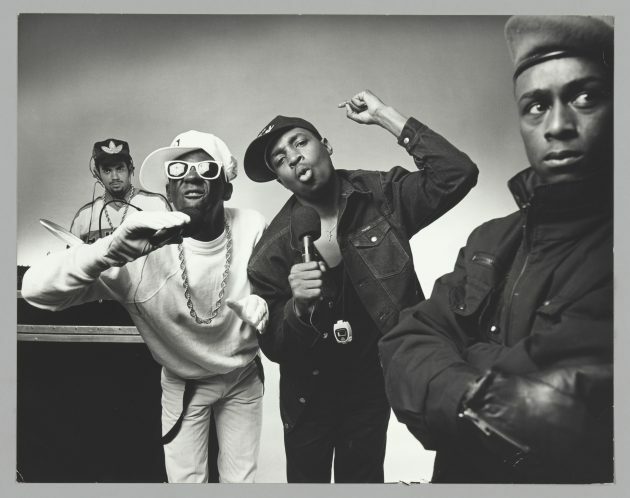 A video screen shows snippets of “Graffiti Rock,” a short-lived hip-hop based TV variety show, and “Wild Style,” the first hip-hop movie centered around graffiti artists. “For s0me people, it might take them back down memory lane; whereas for others, it can provide a moment to make connections that otherwise might not have been considered.” Combs adds.